17. Silent Like The Rain - Get Ready! does anybody know what the title/singer is of the starting song of Nonstop II and III. (not 4) it's like "who will cause trouble today..." (translated) i heard it was cool who sings it... but the name of the song? 09. soo sang han bam! TV pok bal! 18. woo che tong eul sa soo ha ra! does anyone know or that song in the movie friend with jang dong gun? the song that the girl sings in the school? 10. Falling in Love, Kim Bongsoo! 12. da reun sa ram eul joh ah ha go it na yo? 04. geu daen... uh ddae yo? 19. ee ge da ggoom ee uht seum joh get suh..
24. Unity Soul Is Here!! 13. han bun hae bwa! 19. jal ji nae ni? 01. Total Eclipse - M.N.J. 02. ba raem - M.N.J. 03. I Don't Wanna Say Good Bye - M.N.J. 04. mi ryun - M.N.J. 05. sarang eu ro - M.N.J. 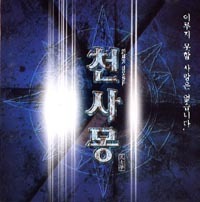 06. nam ja ga sarang hal ddae - M.N.J. 07. se sang uh di eh suh do - M.N.J. 10. geu dae ga gyut eh it suh do - M.N.J. 12. boo tak hal gge - M.N.J. 13. nae mam sok eh nul - M.N.J. 14. dan ha roo man - M.N.J. Im looking for a song that played on the BANJUN drama .. its not in the section of the banjun i checked .. it was a song playing on Banjun Andy-8 My Wish 050313 .. when Andy came out of the big box when Leejin opened it .. Does anyone know the title or have the song? Thanks.